Use a padlock to secure your bike on a regular basis? What if you could unlock that padlock without using a key or entering a combination? What if a single click on the locking mechanism (shank) could send a Bluetooth signal to your securely paired phone, allowing it to unlock? That can happen, thanks to Noke (no-key, get it? ), a Bluetooth powered lock that has already cruised past its Kickstarter goal of $100,000 in funding. 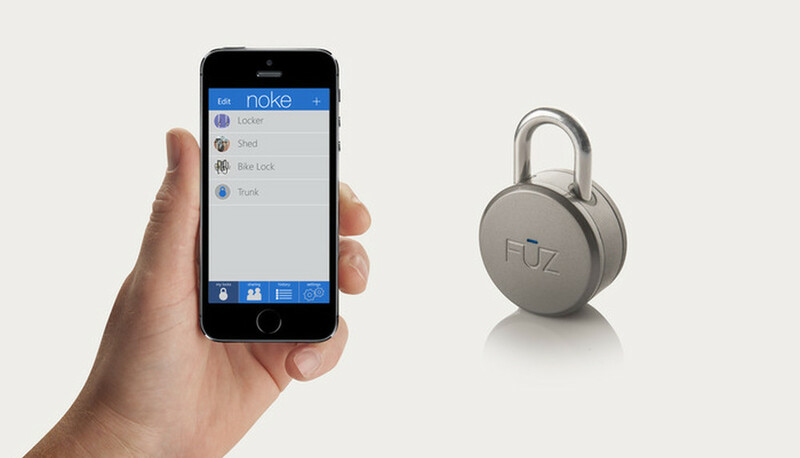 The Noke is more than just a click-me-and-I-unlock padlock, though. Through companion apps on Android and iOS, you can share unlock power with others, view history, manage multiple locks, and even receive notifications when the battery on a lock runs low. Also, if you leave your smartphone at home or its battery dies, you can still unlock Noke by clicking out a custom access code with the shank. For $59, you can pre-order yourself a Noke, which will help its creators (FUZ Designs) with manufacturing costs. You can also pick-up an optional $20 custom chain and bike mount to complete your bike security gear. Noke locks are expected to ship by February 2015.